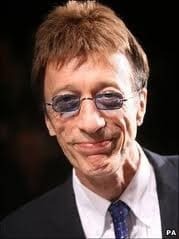 On Sunday 20th May wp-content/2012 Robin Gibb passed away peacefully after a long fight against ill health. Leaving behind a mother, wife, children, brother, family, friends and fans I can only say that sometimes someone who is unseeingly very special comes along and changes your life – Robin was one of those special people. His music is timeless, catchy, haunting and recognised by all age groups anywhere in the world. His true celebrity is simply that, anywhere in the world, at any time of day, you can hear a Bee Gees song being played on the radio. SBID was not singled out, Robin fought for the rights of many things for the underdog, he campaigned for recognition of the Bomber Command, arguing with planners for several years that the RAF Bombers had not been recognised for their winning efforts and the lives lost during the war. After much hard work, consent was finally provided by Westminster Council, and fundraising began. Without cutting out the hard work that so many have contributed to that campaign to date, it is indeed something that will for me be the legacy of the work Robin described as the work among his achievements, that he was most proud of. I suppose that describes ROBIN GIBB perfectly. Talented, generous, giving, fighting and very funny. Robin was highly intelligent, always interested in what you had to say, he loved politics, people and had a great sense of humour. Throughout his wealth, celebrity and achievement, he didn’t change, he didn’t try to be someone else, he remained a real person. I am grateful for what he, his team, his family and friends have done for the benefit of protecting and promoting British interior design around the world, but specifically in helping me personally take on a hostile business sector. Robins friend (and mine) Mike Read stood in for Robin for many accepted appearances that Robin simply at the last minute would be unable to attend, including the SBID International Design Awards in Paris last September. Even though Robin was battling cancer, he still attended various events to demonstrate his support for SBID sometimes in pain, clearly sometimes suffering but always keen to never let anyone down ….for that, I am truly grateful and so sad that such a decent, kind and generous man should be stripped of golden days in the sun in his beloved garden with his loving and protecting dog Ollie, his wife Dwina and family. On 28th June Her Majesty the Queen will open the Bomber Command Memorial at Green Park, facing Hyde Park Corner and the RAF Club on Piccadilly. To me, it will forever be a memorial shared with Robin.